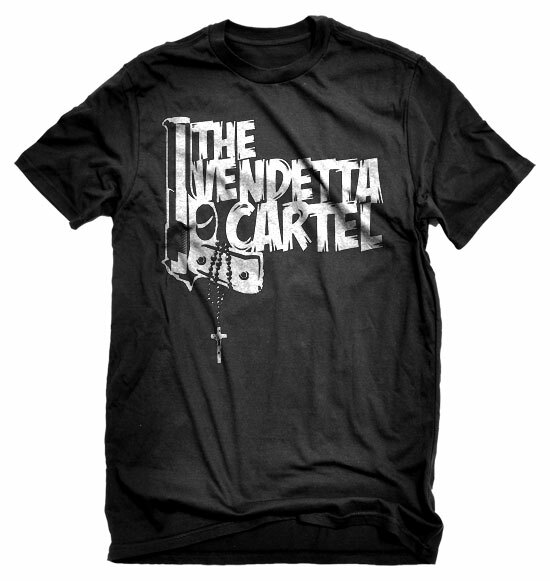 The Vendetta Cartel is a Johannesburg based punk band and they asked me to design a T-shirt graphic for them. 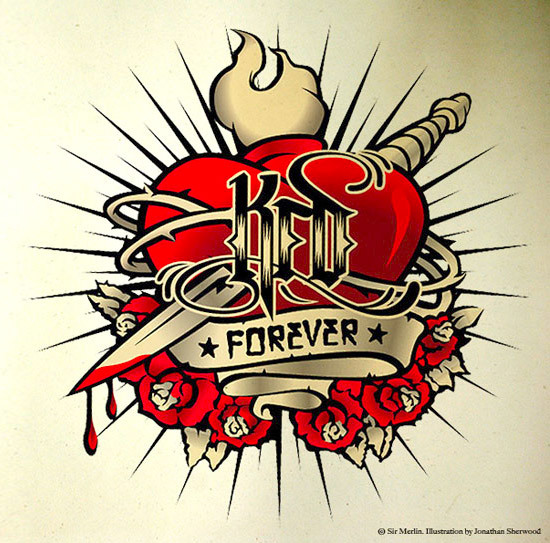 The band sings songs revolving around social issues and life in modern day South Africa. 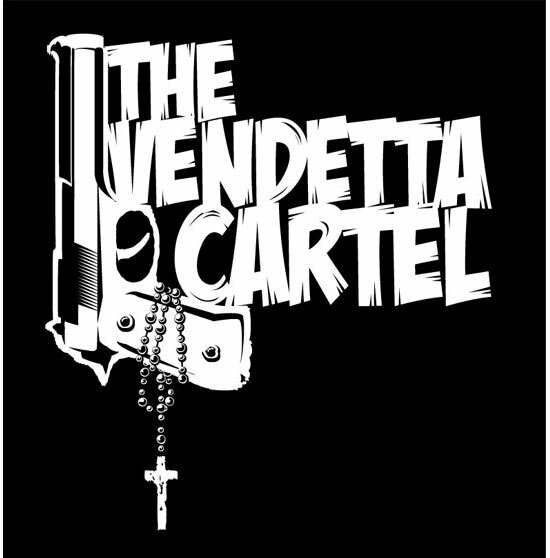 For the T-shirt graphic I wanted to use an image that reflected the hard hitting nature of the bands songs, tied in with their name, and also had a taste of latin influence as the singer originates from South America. 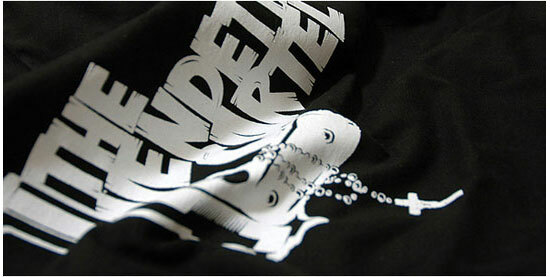 In the end I think the graphic met all those criteria, and the shirt design was well received by the band and their fans. 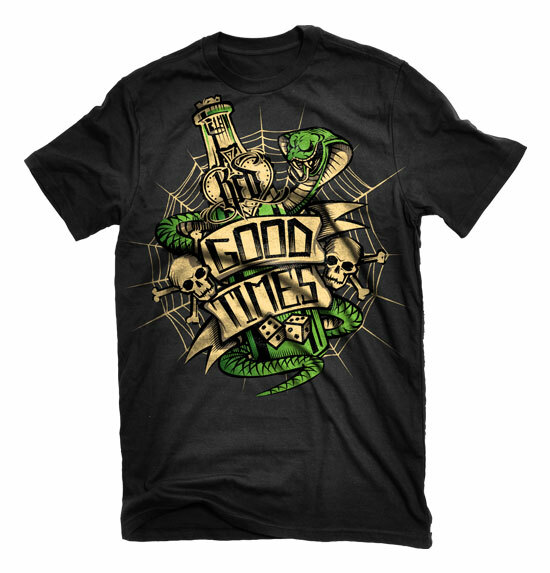 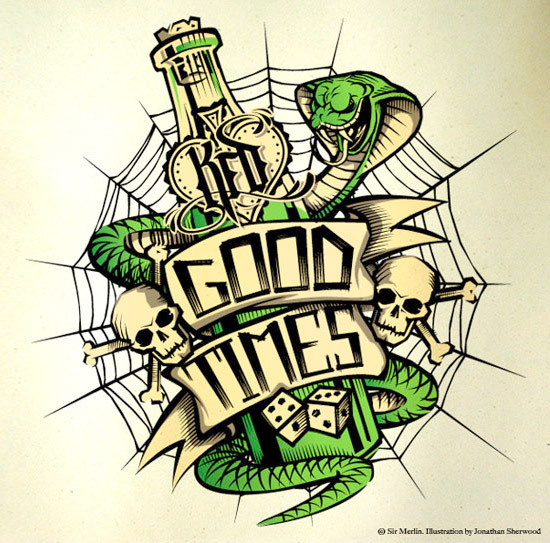 Good Times is a theme that runs through everything that KFD does, and for this design they asked me to do a deck and T-shirt that went with this theme. 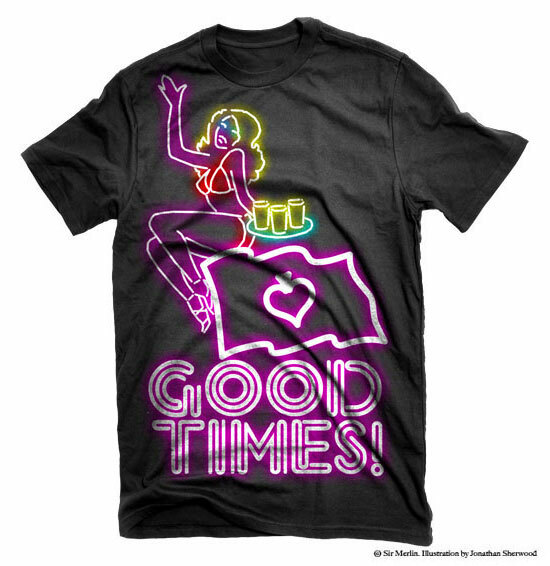 Partying, girls, and beer are always good ingredients for a good time, so I chose images along those lines for the illustration. 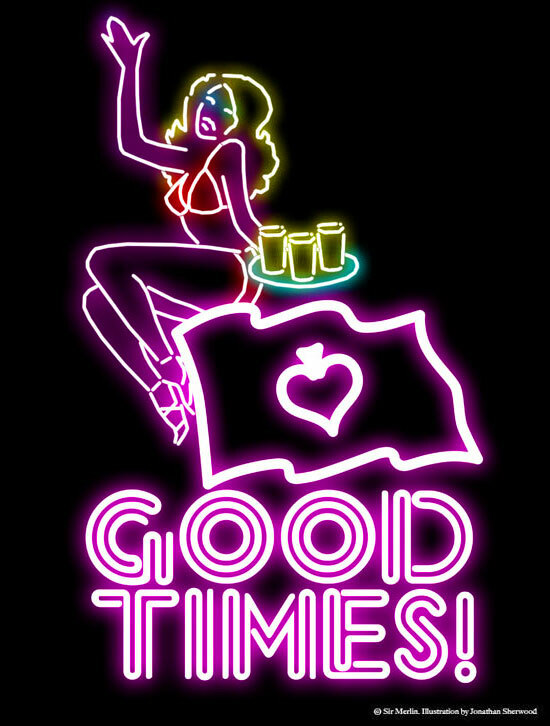 I based the design on a neon light you would find outside a bar, and incorporated the KFD flag as one of the design elements. 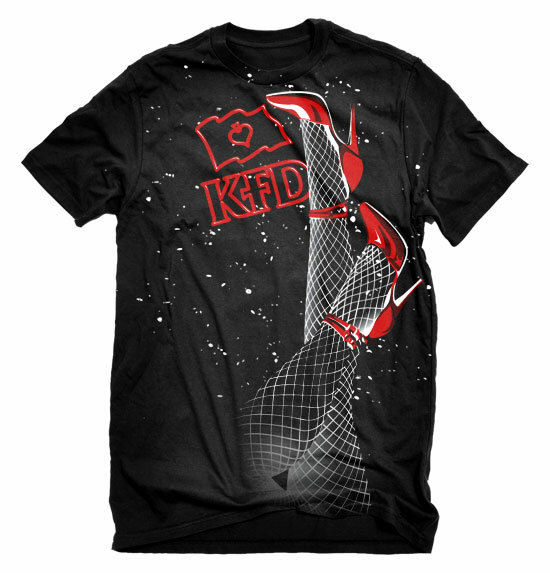 The guys at KFD were stoked with this design, and I’m looking forward to seeing the finished items. 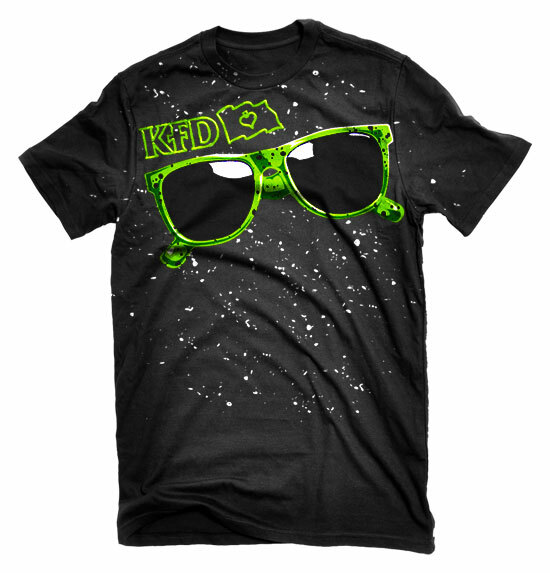 For this job KFD were looking for a range of 3 decks and T-shirt graphics for a new series. 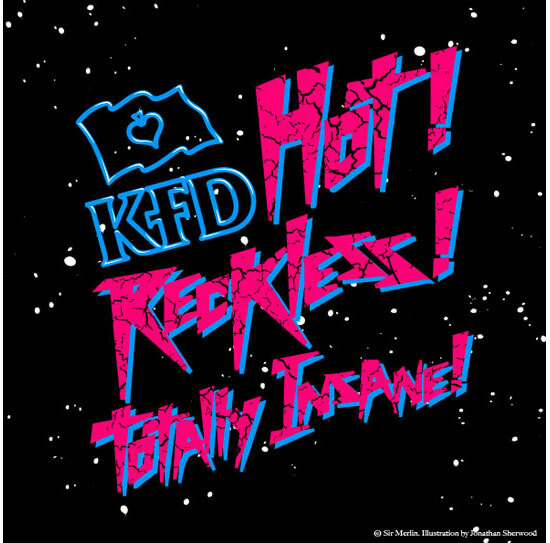 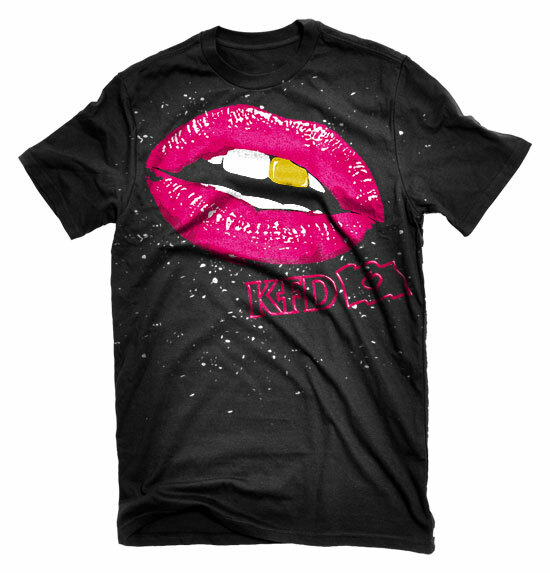 My inspiration originally came from the 80’s skate movie “Thrashing” where I got the strap line “Hot, Reckless, Totally Insane”. 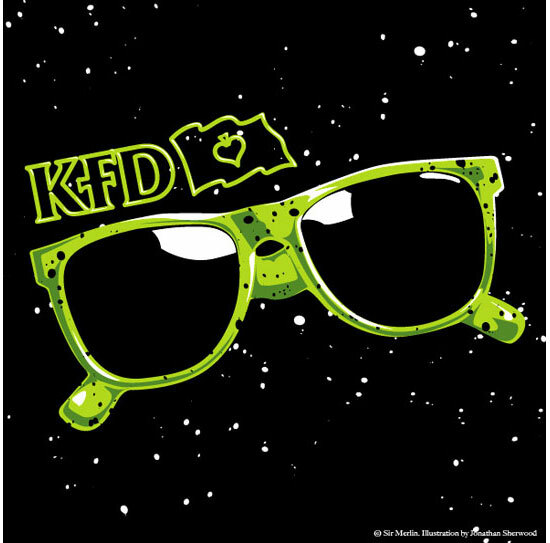 Building on that I chose subject matter that suited the in your face nature of the KFD brand, and treated them using 80’s colours and techniques. 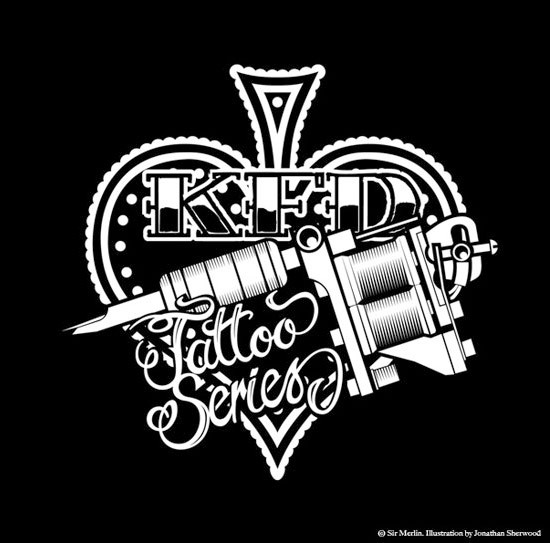 This is one of my favorite series that I have done for KFD. 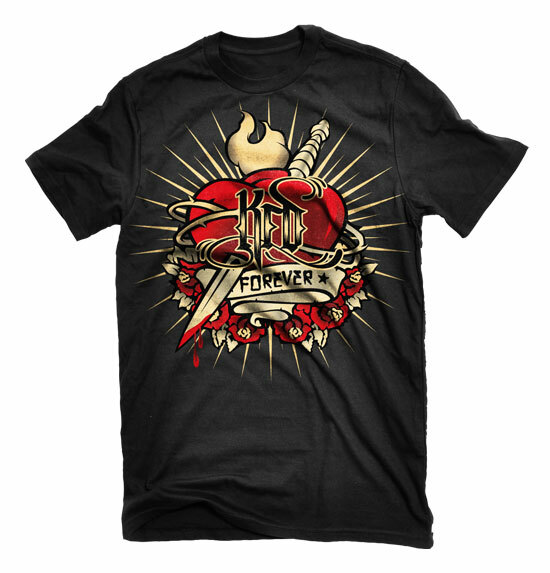 For this range KFD were looking for something inspired by tattoo art. 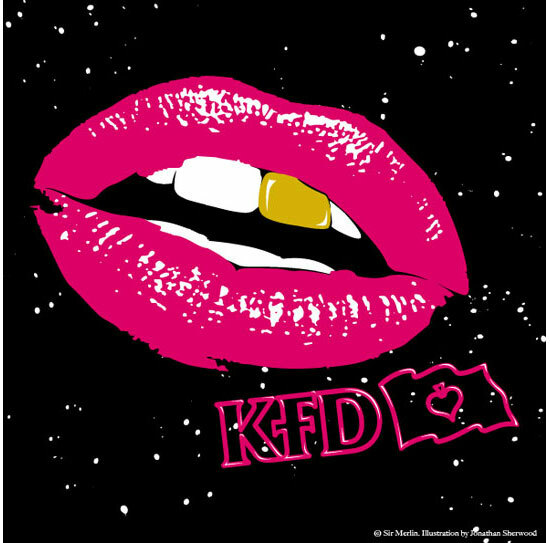 As a brand KFD is very much a “skate or die” type of company, so I set out to design graphics that conveyed a message that would be relevant to what they are all about. 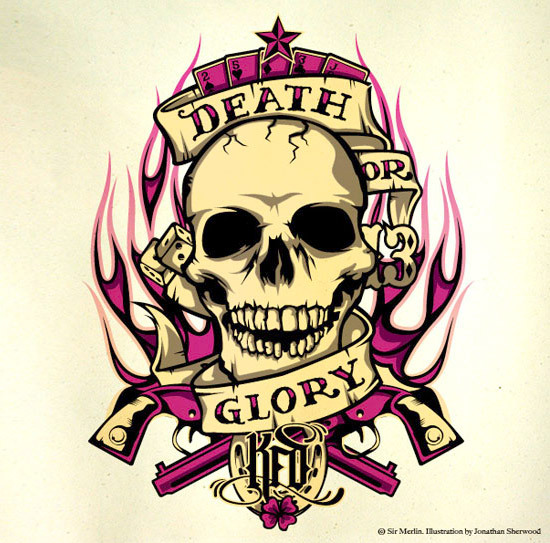 The three slogans I chose were, KFD forever, Death or Glory, and Good Times. 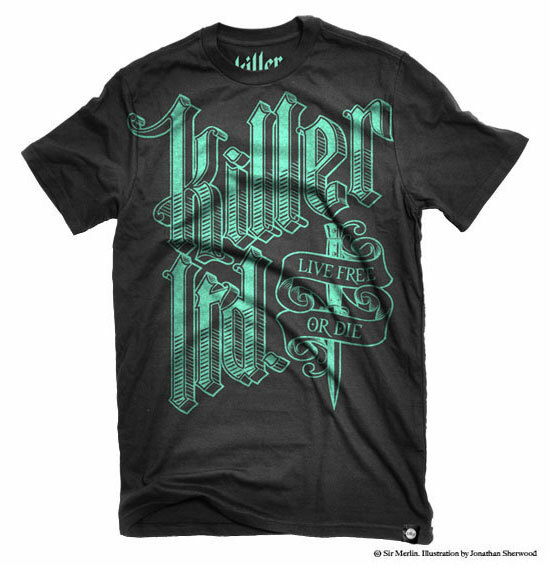 After illustrating these three concepts I then flexed them out over the decks and T-shirts. 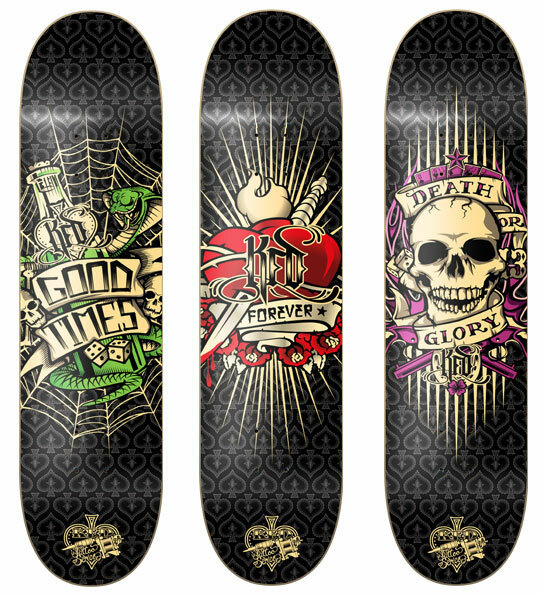 KFD were looking for a generic deck graphic that they could roll over from one season to the next. 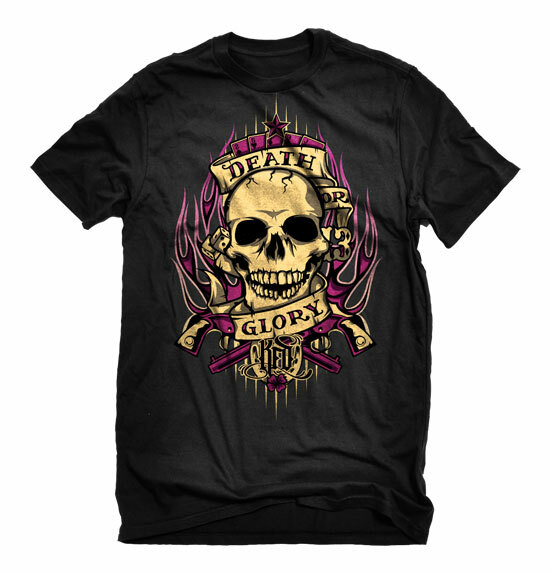 An older design using a skull print had always been a good seller for them and they wanted to freshen it up. 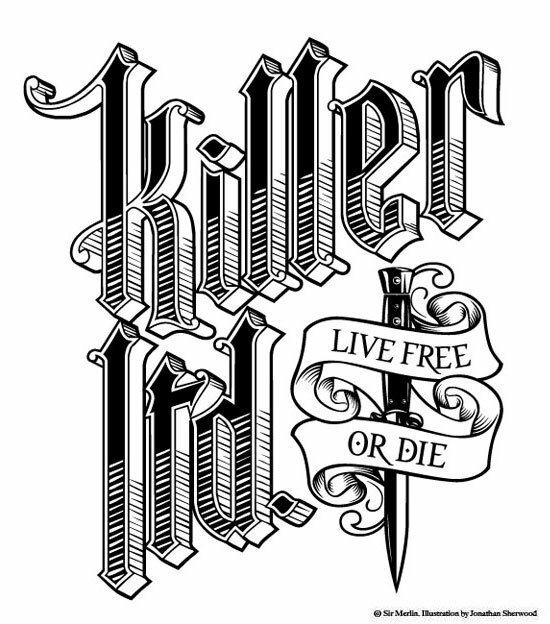 Starting with the basic layout from the old graphic I set about designing a board that looked new but wouldn’t age quickly when it was carried over. 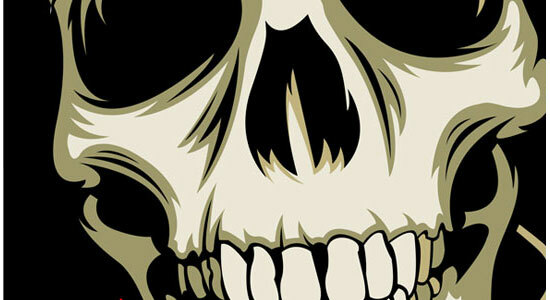 Three classic images that always work together are skulls, roses, and spider webs, so I decide to use these three elements in revising the graphic. 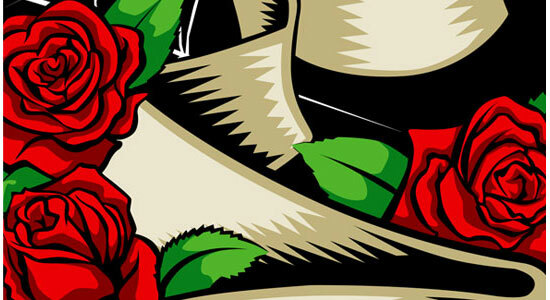 This was the first time I had illustrated roses and I really enjoyed it. 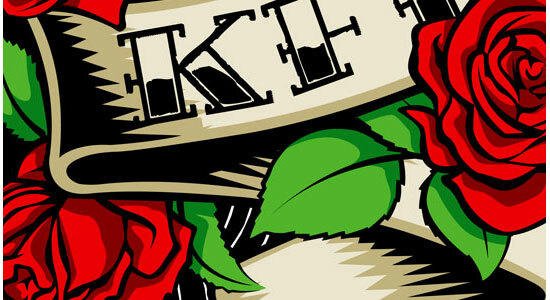 They are rather complex shapes, and applying the line and colour to reflect that was interesting challenge. 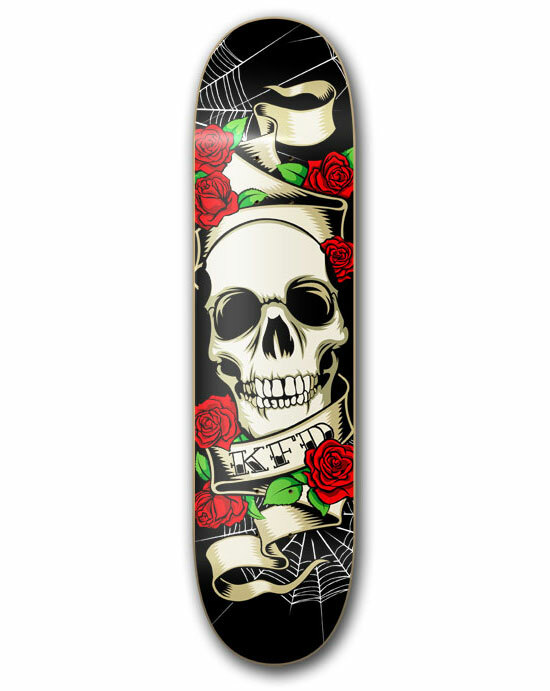 At the end of it I think the board turned out really well, and will hopefully be a good seller for KFD for some time to come.